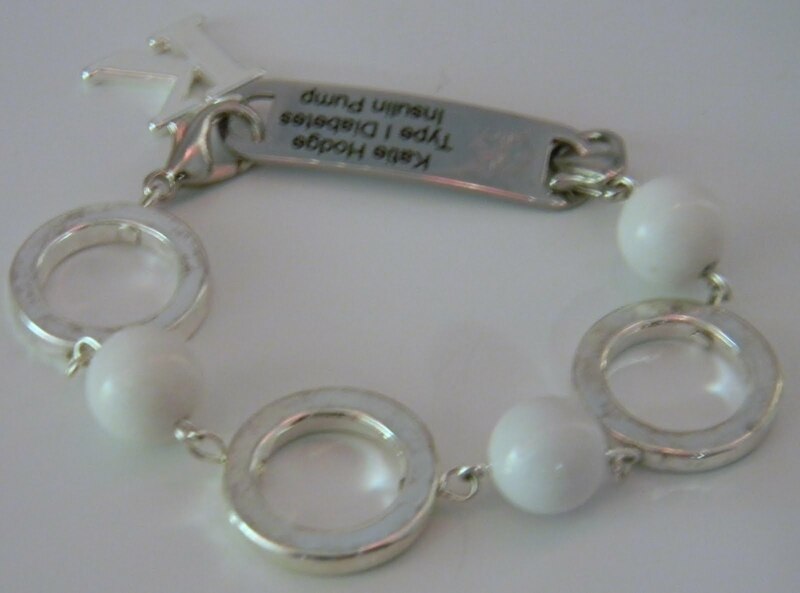 Still hadn't made a medical alert bracelet for myself. Whoops. 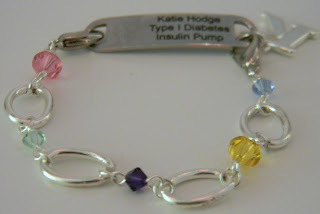 So, I ordered a tag with my info engraved, and fixed that oversight :-) In one evening, I made seven new bracelets for myself, and am now wearing my medical alert bracelet for the first time in a while. I also added a cute little "K" to the plaque... I may get more charms to switch out with my moods. :-) The lobster-claw clasps on the ends of the chains attach to either side of the plaque. Easy-as-pie! Swarovski in three shades of purple... matches my chandeliers nicely! Three shades of green... can you tell I'm in a crystal mood lately? Red chip beads were a gift from my granny-in-law. Wanted to save them for something special!! 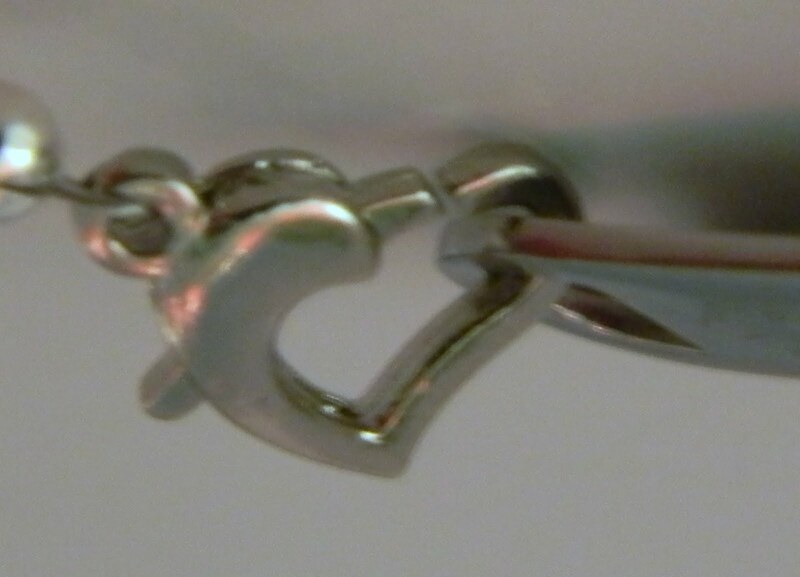 The red and pink bracelets have these heart-shaped lobster clasps... aren't they CUTE!? Another gift from Granny, put to good use! Basic basic basic! If nothing else matches, this will!! And it sparkles, so I love it! If you have any condition or are on any medications that make medical alert jewelry advisable, PLEASE consider buying one of these... It's so very important! 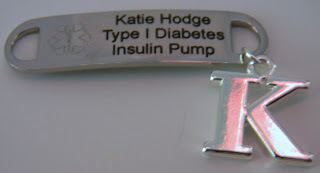 PS: To get started on your fabulous, custom-made medical alert jewelry, shoot an email to me at AlwaysKatie@hotmail.com !! Katie--do you have a shop on etsy? Where can I find your jewelry? Oops! Thanks, Sarah! I'll edit the post to stick my email address in :-) That's what I get for writing at 1AM! I have an etsy shop that I disabled several months ago... I wasn't into promoting when I first started it, and never sold anything (imagine that!). Now that business is picking up, and I've gotten over my fear of self-promotion, I'm planning on opening it back up in late August or early September. I am slowly building a shophandmade shop as well, which I'm hoping to launch about the same time as my etsy (etsy will be mostly a custom queue, shophandmade more one-of-a-kind but pre-made). I have some pre-made inventory available at alwayskatie.com, too. However, most of my business--and passion!--is custom jewelry, so my email address or facebook fan page are the best ways to order most things, including these medical alert bracelets! Hi Katie. I was wondering if you're still willing to make the bracelets for the medic alerts? I already have the tag but my bracelet is breaking. YOu can email me @ sweetmystery6@gmail.com. Thanks! What I Wore Wednesday: Grad Party Edition!